I purchased the z1000A2 in the early 2000’s from a z-Owners club member who bought it from another member who purchased it from a Kawasaki Dealer that received it as a trade in from a guy who decided he wanted a new bike! – long story but true, the dealer called a club member as “Zeds” were considered junk back then and the rest is history. Regardless of how I obtained it, I paid $1800 for it at the time which by today’s prices is an exceptional bargain considering the guy I bought it from made $400-800 on the deal at the time. Originally the bike was going to be a factory restoration but I have decided to create a custom machine so many factory parts will get replaced over time. This article will cover the rebuild to get a running finished machine, then I will document the custom build. I have already started buying parts for the build, both original parts and after market. What I dont use on the z1000 will go onto my z650 cafe project. When complete it should be worth $15K to $20K or more (I will revise the price from time to time as the market prices on eBay change). 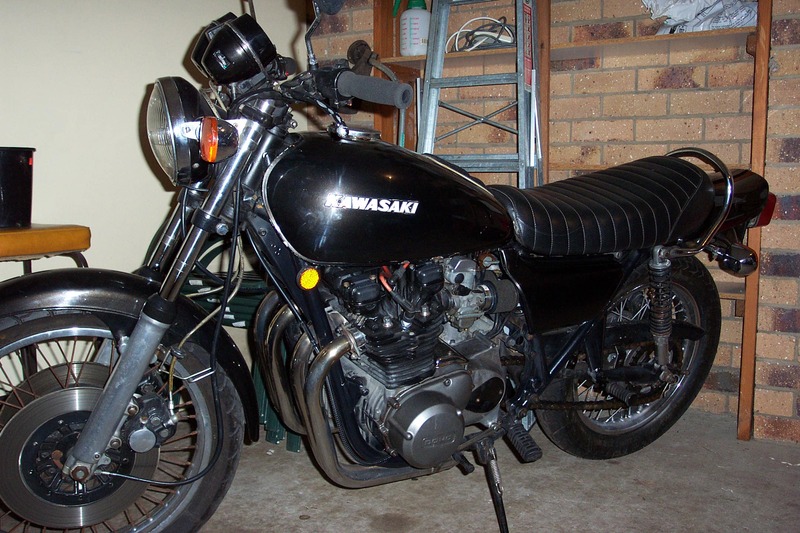 The bike as purchased in the early 2000’s, neglected but with some attempt at customization, basically black and original parts changed for parts from similar models. Bike was in running order. Side on the headlight clamps and cam cover have been replaced with inferior parts. Side covers are non-genuine and engine cases are powder coated different colours. Wheel are original but very rusty and one rim has slight damage. 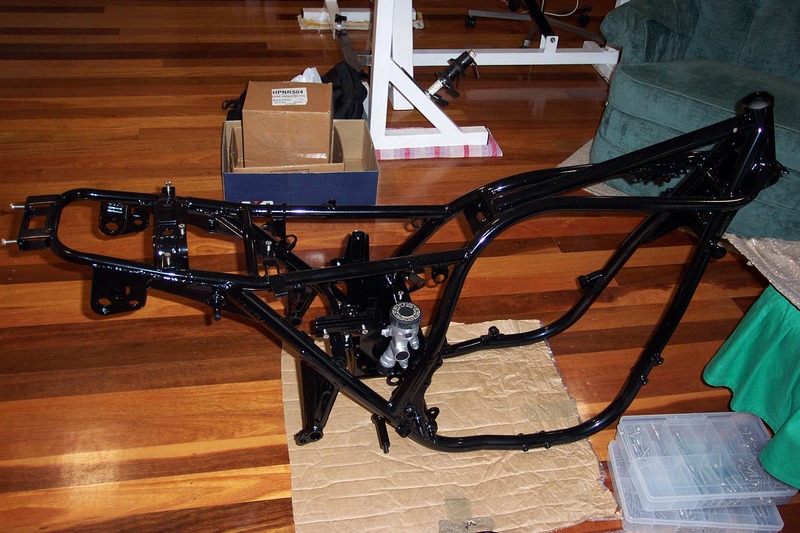 Metal Parts – Initially the bike was stripped and all metal parts either re-chromed or powder coated to match original finish. Exhaust – 4 into 1 “Formula” brand – will retain for the time being, might fit newer shorty style cans. Suspension – forks have been hardchromed and springs are OK, rear shock absorbers are original “Koni” brand, these have been rebuilt. New bearings fitted to swing arm. Steering stem bearing were already replaced with needle rollers, these were cleaned, re-greased and re-installed. Instruments were damaged and not operating correctly. Both were sent away and rebuilt in the United States. MPH dial fitted where it should have been KLM’s Might change this later if it does not pass road worthy. 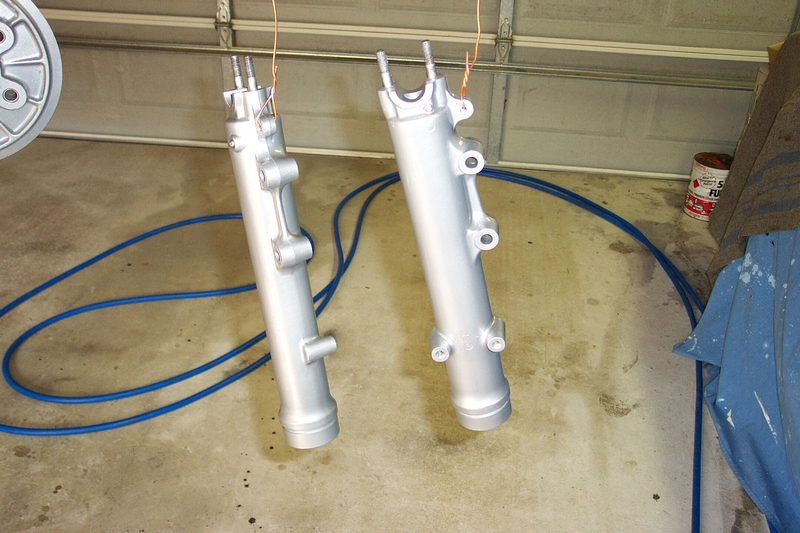 All alloy parts were stripped and water blasted clean. 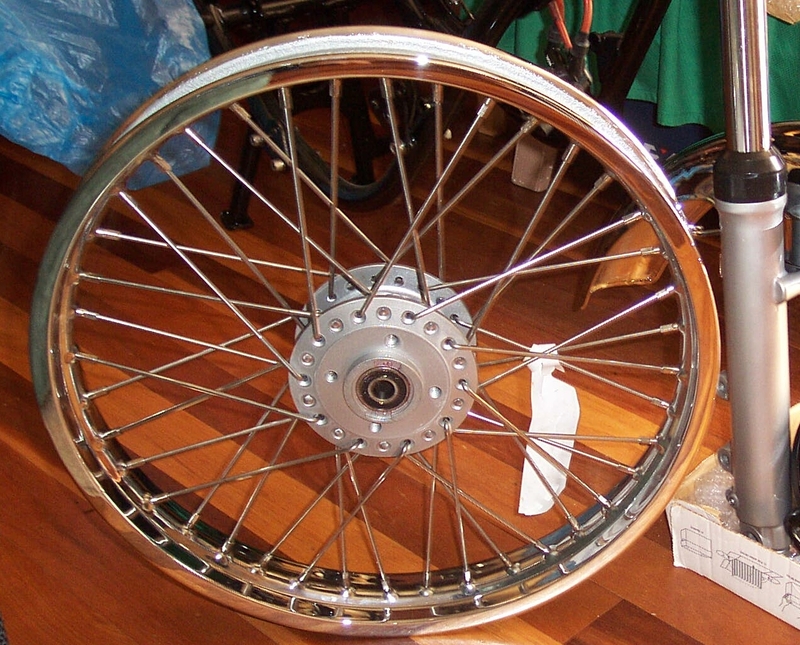 Wheels – rims re-chromed and new stainless spokes for both wheels. The frame appeared to be in OK condition so it was stripped and sent off to get powder coated. 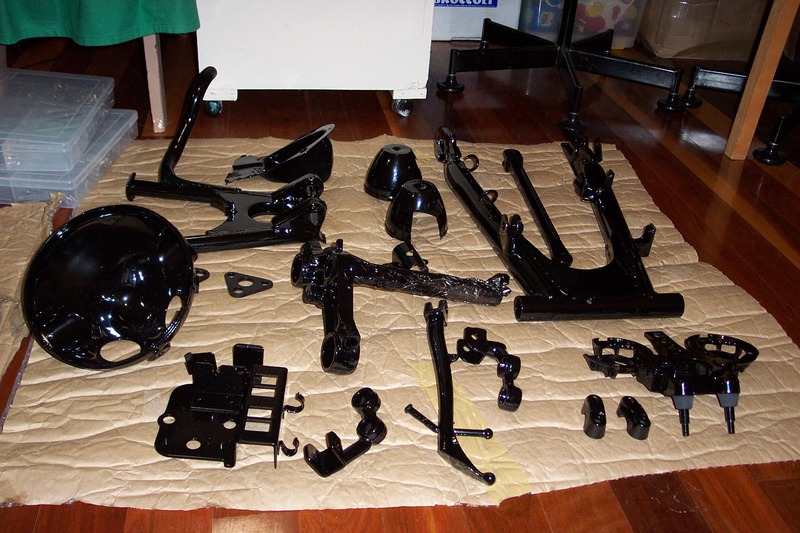 At the same time all the other black metal parts were sent in as a job lot and all came back in perfect condition. Key items were cleaned up ready to install. 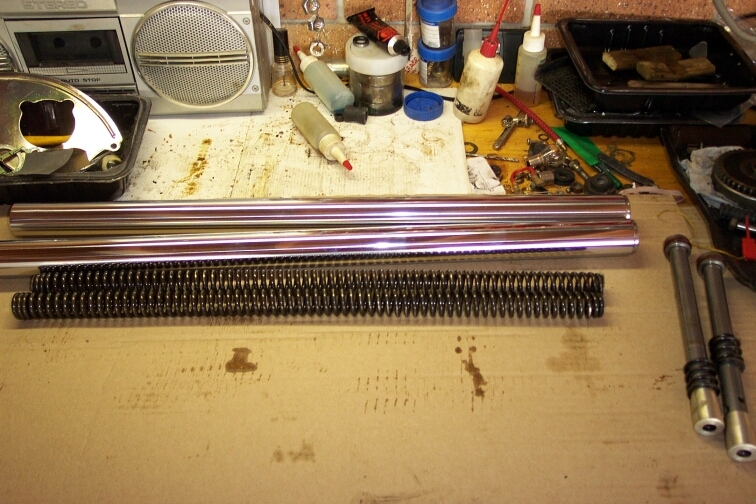 Fork tubes were hardchromed, springs in perfect order. 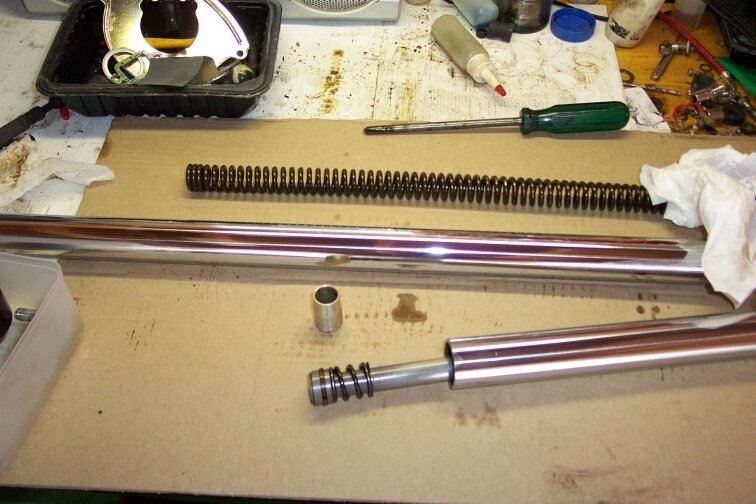 Assembly of forks parts, luckily the internals are perfect. 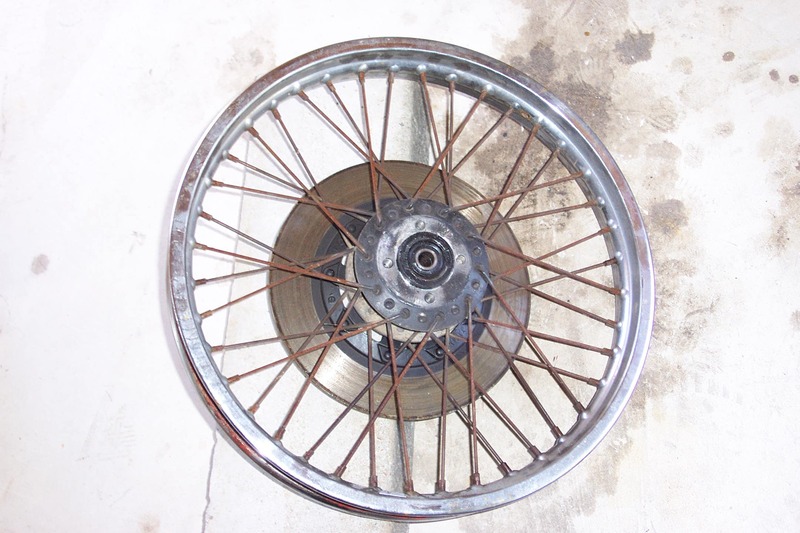 The original wheels had standard steel spokes which rusted over the years and the chrome had deteriorated. The hubs had some of the original black paint left but it was in poor condition. The first job was to strip the wheels. The spokes were cut out with an angle grinder, the bearings removed from the hubs and the disks cleaned up. The hubs were water blasted and shot peened then new bearings fitted. While this was happening the rims were getting re-chromed. Luckily the inner part of the rims only needed polishing so only the outer edge needed chrome. The finished front wheel minus disks. The stainless steel spokes should last forever. Next tyres need to be fitted and the wheel can be installed. The engine was running at time of purchase but was in a poor cosmetic state. Its internal condition is not known but new oil and a check of the shims will be done and the engine will be installed in the frame and run for a while to see how it performs prior to eventual strip down. 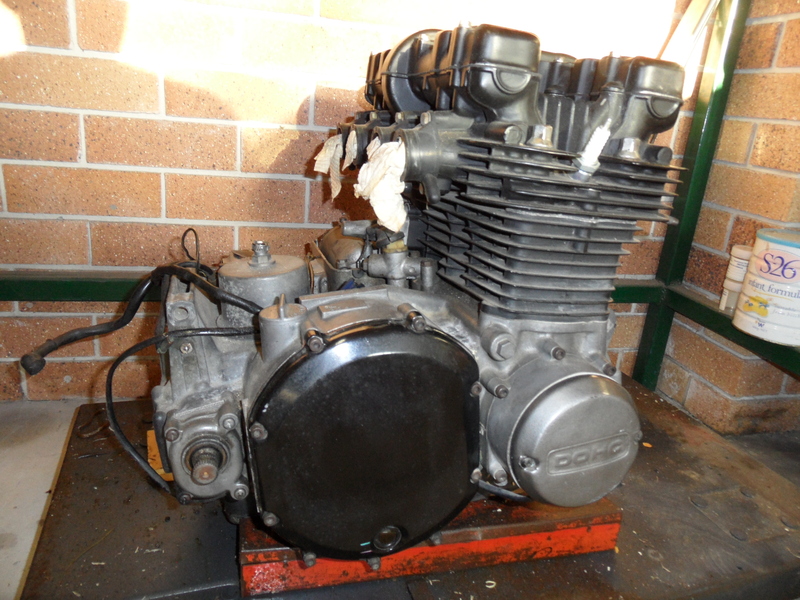 The z1000A2 Engine as removed from the frame and untouched. It is in less than pristine condition! Not sure while the cam cover is square but a round one has been sourced and fitted. 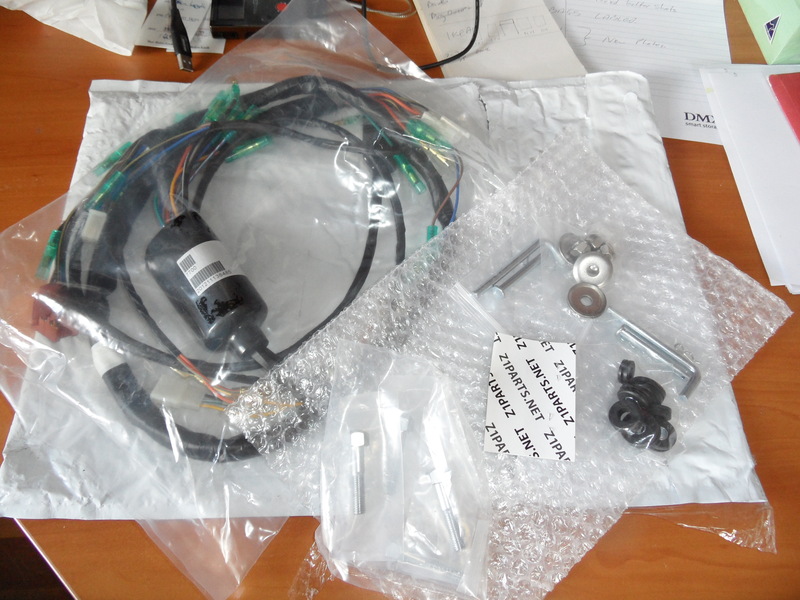 Recently a number of small parts were purchased to kick start the project again. The original wiring harness was slightly damaged and although very repairable, the opportunity to purchase a new one came up so a new hardness was sourced. Seat pins and some mounting hardware was also purchased. 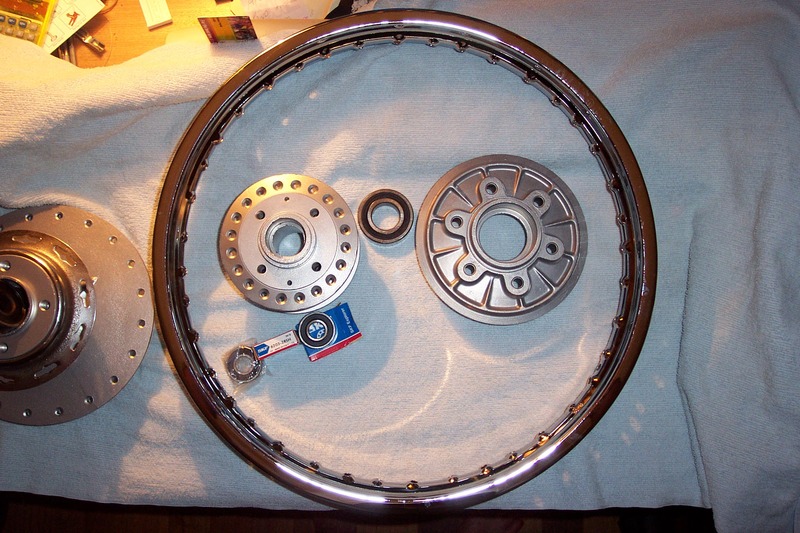 Recently I purchased a S/S spoke kit for the rear wheel and will be spoking the bike when the kit arrives. 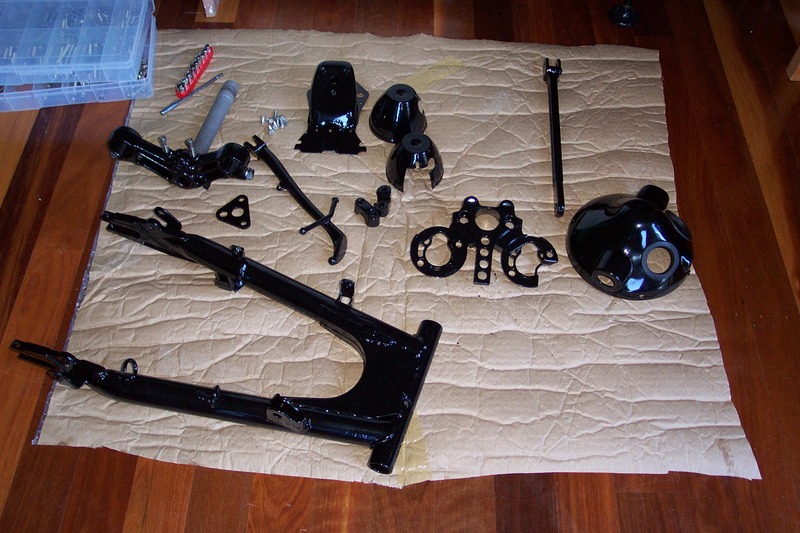 As of January 2015 a small list of parts are needed to build a relatively standard bike. Dyna ignition to be installed. 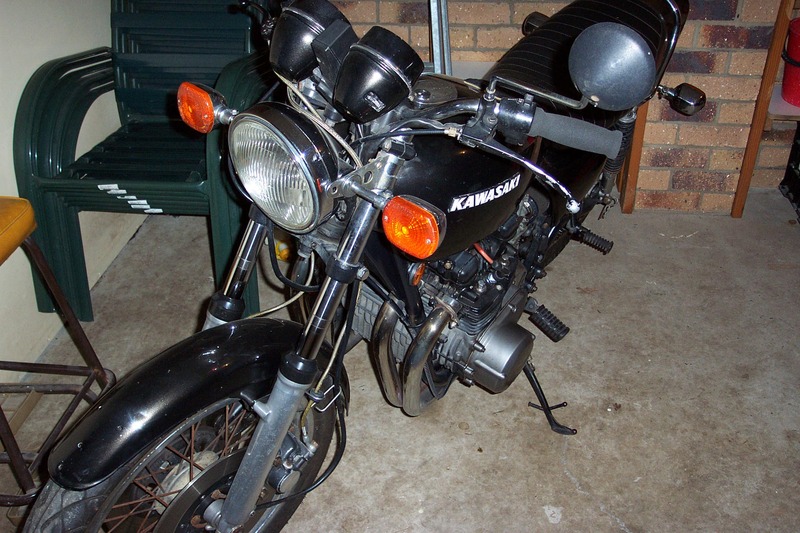 Inst wiring harness required – original has been repaired but a new one would be better. Rear brake caliper pistons – old ones have too much corrosion. Brake lines – after market Black with stainless fittings. Fit GPz900R calipers instead of original calipers. Install rear brakes, lines and m/cylinder. Paint work – Custom red/gold or black with green? Replace standard brake lines with S/S fittings on custom lines. Cafe racer style custom rear end. Ohlins rear shocks or equivalent. Race tech or equivalent cartridge emulators to beef up the front end. Rebuild motor and clean it up. New handler bars – renthal gold? Remove rear guard and use tyre hugger?